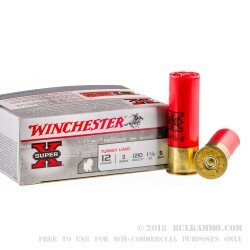 Winchester Super-X Turkey Load shotgun shells are a great economical option for your next turkey hunt. 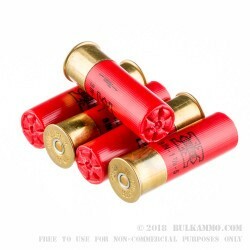 These 12-gauge, 3” shells are loaded with 1 7/8 oz. 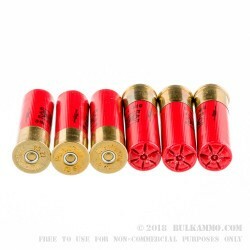 of #5 shot with Grex buffering and are capable of a muzzle velocity of 1210 FPS. The lead shot is copper-plated to prevent deformation, allowing for tighter patterns and more penetration upon impact—and means more turkeys in your bag this season. The Super-X line from Winchester has been a name shooters trust since 1922, offering reliable performance and quality to hunters without deflating their wallet. Winchester, for more than 150 years, has been one of the top producers of firearms and ammunition in the world. This American-made manufacturer has created some of the most iconic firearms of the 19th and 20th centuries and continues to be a driving force in the firearms industry. 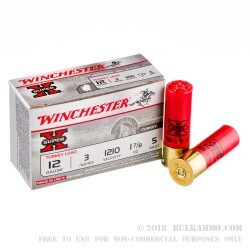 Each box of Winchester Super-X Turkey shotgun shells contains 10 rounds.